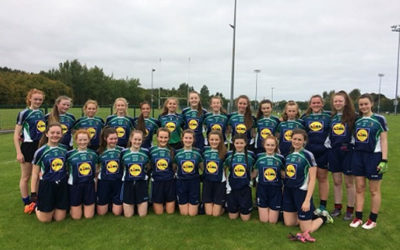 Congratulations to the U16 Gaelic Team who beat Colaiste Einde to become Connaght Champions - well done girls! 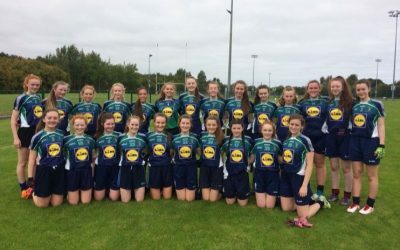 Hard luck to our Senior Girls’ football team who put in such a gallant effort. 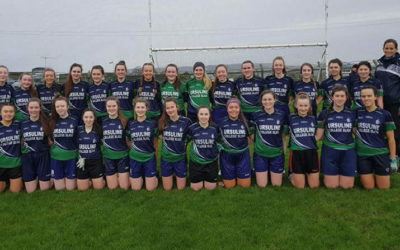 The U16 Gaelic team travelled to Swinford on the 4th February to take on Mount St Michael Claremorris in the Connacht semi final. 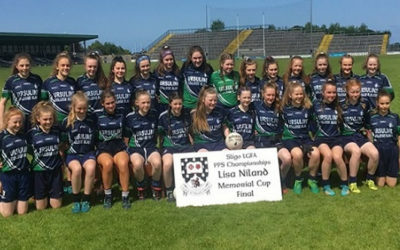 They beat Mount St. Michael and the team now qualify for CONNACHT FINAL. 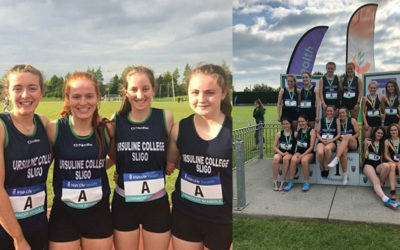 Well done and best of luck in the Final girls. 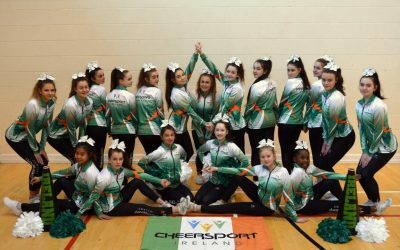 Wishing the cheer leading team who will fly the flag for Cheersport Ireland at the World School Cheerleading Championships in Florida next month the best of luck. Well done to the girls and their coaches! 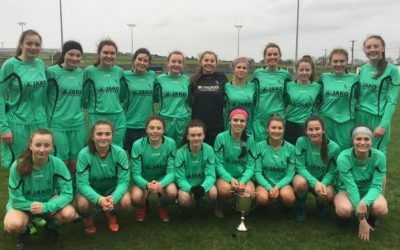 Congratulations to the senior soccer team who defeated Claregalway College 2-1 after extra time to win the Connacht final. Congrats to our Senior team who beat Coola 1:16 to 1:5 to become County Champions. 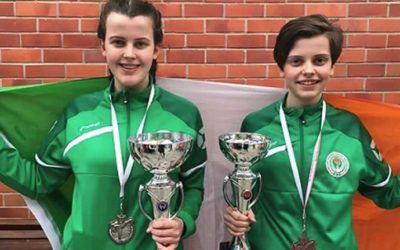 Congratulations to Ellen Woodward (TY) & Anna Woodward (1st Year) who competed & represented Ireland in the 46th European Wado Kai Karate Championships. 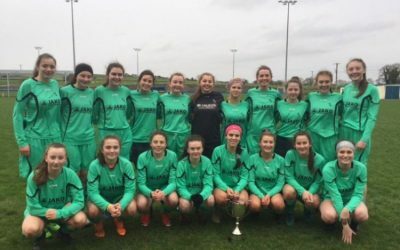 Congratulations to Kate Nugent who has been selected for the U16 Irish Soccer Team. Best of luck in the season ahead! Congratulations to Kate Nugent who has been selected for the U16 Irish Soccer Team. 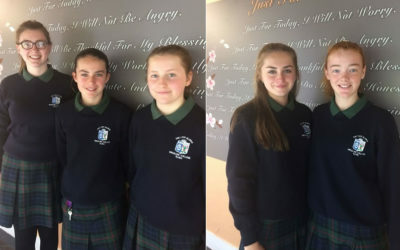 Congratulations for Eimear McIntyre who qualified for the U15 Connacht Soccer Interprovincial Team. Congratulations to the U16 Gaelic Football Team who won their matches against Swinford and Ballaghadereen on Tuesday 9th October. 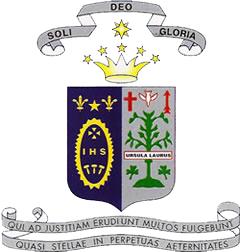 Different activities have been arranged for 1st years on Friday afternoons. Best of luck to the school golf Teams who are playing in teh Connacht Schools Golf Championship on Monday 17th September in Tuam. 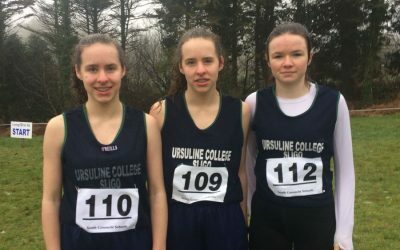 Ursuline College had great success at the Irish Schools Athletic Championships 2018 which were held in Tullamore on the 2nd of June 2018. Well done to the U14s Football Team who reached the County League Finals in the ‘Lisa Niland Memorial Cup’. 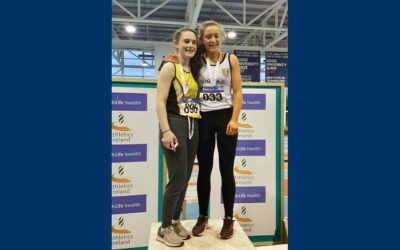 Congratulations to Lauren Cadden who achieved first place in the 60 M U19 Juvenile race held in Athlone IT on March 18th.